It was a plein air sort of late afternoon to spend at Patina Vineyard as part of the Hospice event we created for their auction this spring. The mastermind of the event or minds were Lori and M’Lisse. LeaAnn lended her vineyard and I brought up the pastel dust….which resulted in the above painting that the buyer of this particular auction lot also got along with a superb dinner and wines. Other members of the party got a framed coy of a small vineyard painting I had done a few years ago. One can see I had a great little set up for my space to paint and the pre dinner wines and appetizers adorned the table under the trees twinkling with candles nestled in little cut glass tea cups. M’Lisse has just bumped one of the tea cups and waxed the back of her hair when the little tea light spilled in the collision! 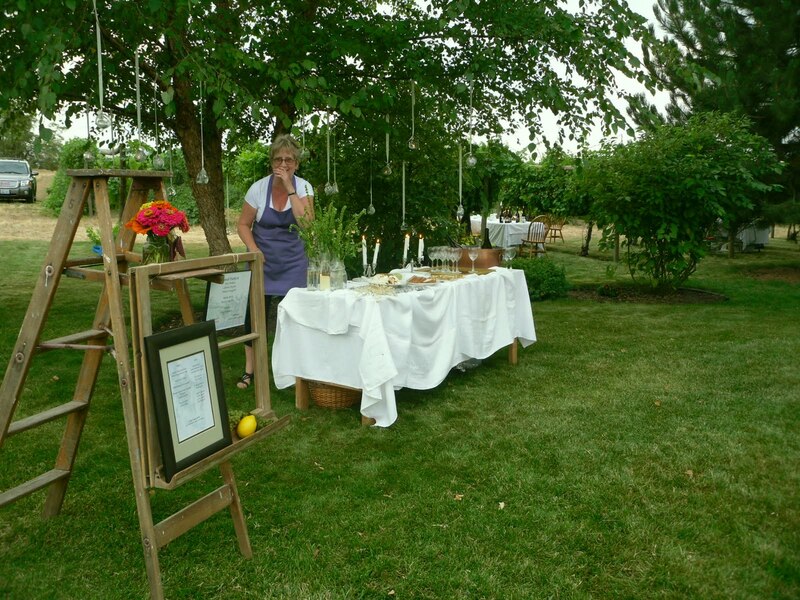 Lori prepares the dining table for the meal while the guest stroll through the vineyards with LeaAnn. These two put together an incredible feast with great appetizers, soup, salad and salmon. I managed a taste of this, a plate of that and it was all top notch cuisine. While the guest sampled wine and dined, I finished the painting. We framed it and presented it to the guests to their approval during their meal. Roy, who is an accomplished watercolorist showed another side of his talents and provided great music for the evening with his guitar and harmonica. 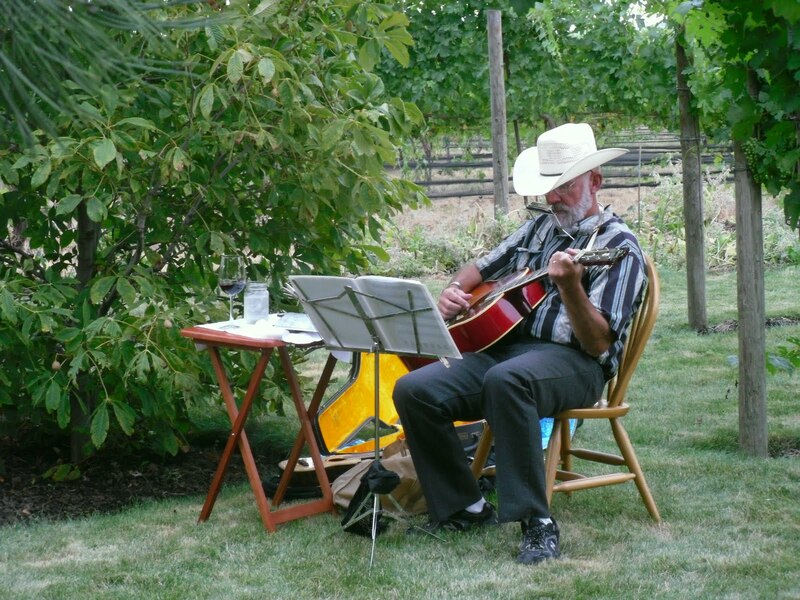 It was quite a pleasure to be painting on the other side of the grape vines and listen to live music! The message in this blog? 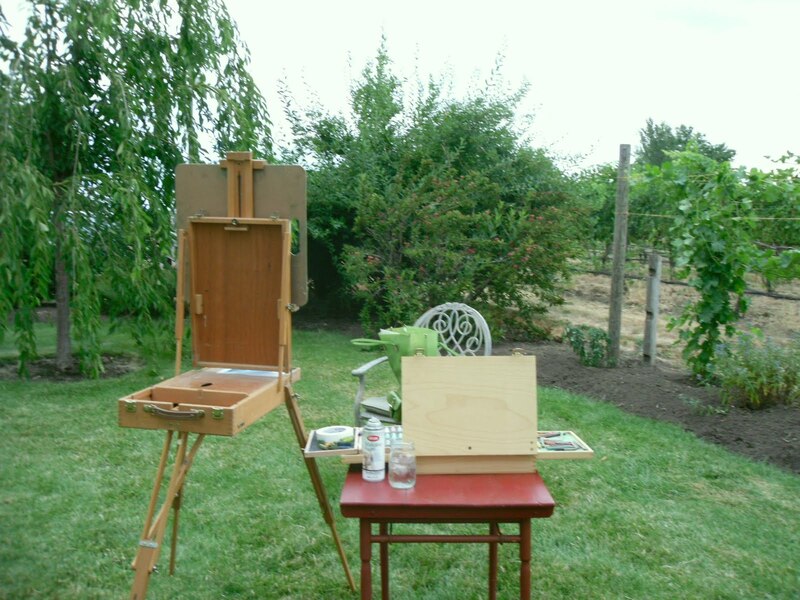 I encourage anyone who paints to get out and do some plein air painting or just get out in the yard and paint from a photo! 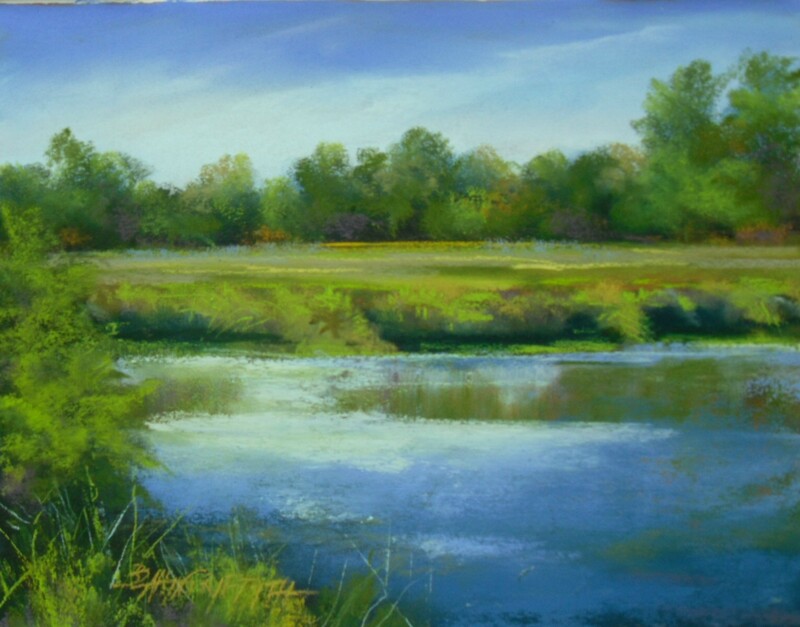 If you have an opportunity to paint something for something like this – do it! It is fun; there isn’t a time limit and if you mess up one, just be sure you have an extra sheet of paper to start again! I just got back from the quarterly Northwest Pastel Society meeting in Gig Harbor, WA. That’s across the Narrows from Tacoma in the south Puget Sound. It is a beautiful setting and typically would be a great place to some plein air painting down by the harbor, however it was mid 90’s and that’s a little warm to be outside painting for long! I just am finishing the night scene of Joseph, OR above. It is sort of fun to play with “night” colors and the lack of! It was wet and lots of stormy clouds and most everything was peaceful; much different from the bustling of the daytime Main Street activities. 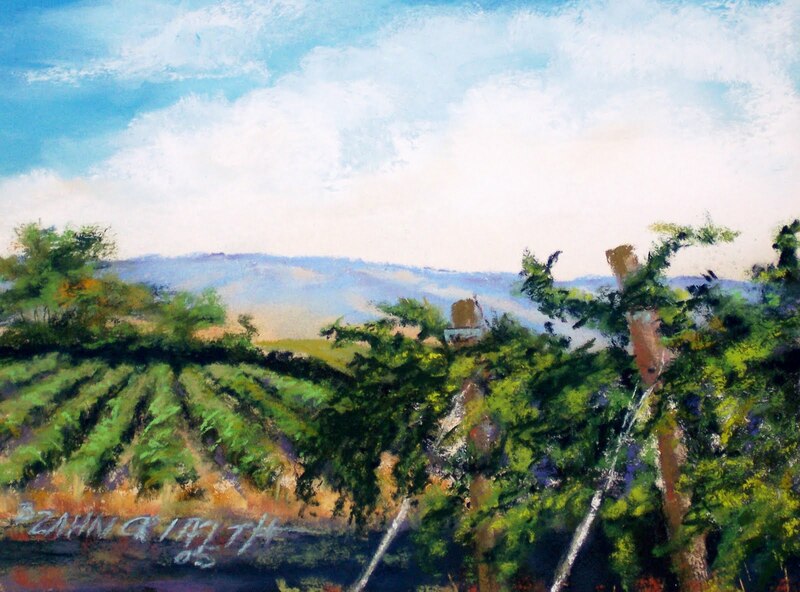 The vineyard is an older painting that I did some copies of and will be given to some of the guests tomorrow night at the vineyard dining and plein air experience that Lori, M’Lisse, LeaAnn and I put together for a Hospice auction item this year. 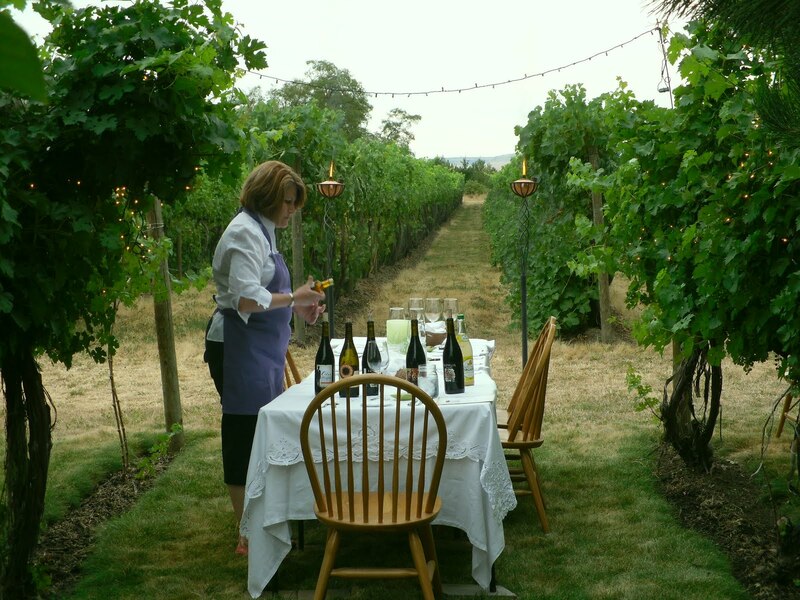 I met LeaAnn one evening at her vineyard to check out where I would be painting and maybe what I might paint. She took me around through the vines and showed me the difference between Cabernet and syrah grapes and others and she was trying to be helpful in where I might set up to paint. She starts talking about me standing and working on top of a table or in a “lift” on her tractor. Man, WHOA! I don’t do heights! I am good being 5’5″ from the ground up. She thought that was pretty funny. But she doesn’t really know me all that well. I am not extremely coordinated. I knock things over. I could envision falling off the table; spilling pastels all over the ground, crashing the easel to the dirt and more. Much better I stay grounded. Then I said I loved her grape fields! GRAPE FIELDS???? IT”S A VINEYARD!! just a technicality…I am looking forward to spending part of the evening with the diners and the rest of the crew. It will be fun and I will come up with something appropriate to paint, I am certain! without the tractor or standing on a picnic table. Back the NPS meeting…the entries are all in for the Int’l Show and entry has now closed for that event. The entries are all done digitally and on line. This is one of the greatest things, in my book, because it simplifies the entry process so much. You don’t have to take, develop and send in slides or even make a CD, it’s all electronic on the computer. Images should be hi resolution (300dpi), 1200×1800 pixels -approximately 4”x 6”. Use no spaces or symbols in name. So to change your image that you have stored in our computer, you need to have access to PhotoShop or some image software. Once you go to the “resize image” you can accomplish most of this pretty easily. 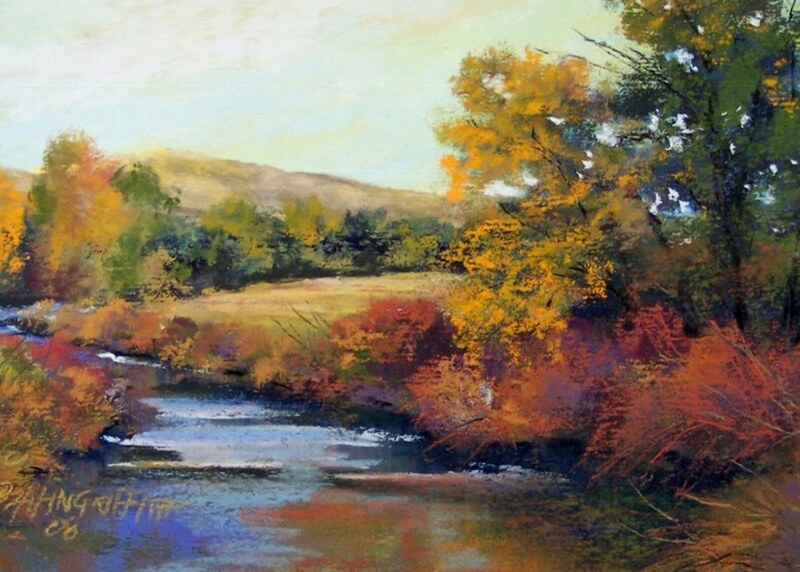 You want to maintain the appropriate shape of your painting, so if it happens to be a long narrow piece, you want the juror to see it as it is and not just a portion of that. So be sure the box is checked to keep proportions consistent. Then you change the longest side of your image to the longest allowed in the prospectus (in the case above – 1800 pi) Then the shorter side will proportionately change automatically. Always be sure to check and make certain the resolution is set at the required (300 dpi on this one). A note…be sure you are using a high resolution when you take your image as well. Your camera has a setting for this. If you shoot an image at 72 dpi and then try to make it be 3000 dpi when you change it, you will not be very happy because your image will not be clear and crisp…And then label the image as requested; “save as” in your documents and then upload this newly sized image in the entry. Photoshop isn’t the only software that allows you to make changes of an image. I have a Canon ARCsoft program that allows and is very simplistic and easy. It is a program that is part of my scanning system and works very well. So that’s some tips for preparing an entry for a juried show with digital entries. Also what I do is print out the prospectus so I have that in hand to refer to, to make certain the entry is done correctly. As a note: The show is hanging at Discovery Pond in Miles City and the Custer County Heritage Auction Show is ready for public view this weekend for the month before the actual auction. I have been doing the “other stuff” related to painting for the past couple of weeks…getting pieces into frames, taking work to galleries, picking up other work, etc. It’s all the busy work that takes big chunks of time. I did go out and do some photography in a vineyard where I am going to be painting plein air during an evening dinner in this vineyard as part of an auction sale to benefit our local Hospice. Three friends – M’Lisse and Lorie are cooking and presenting some wonderful fare to the high bidders of this auction lot; LeaAnn owns the vineyard and is providing al fresco dining in the shade of beautiful old trees at the edge of the vineyard and I am painting a 9×12″ piece while the party eats. The painting is part of the package as well and will be given to the diners. All in the spirit of giving back to a superb organization that provides so much for so many people. So, I have included a couple of images of works that are part of my collection – not my work – but from family. 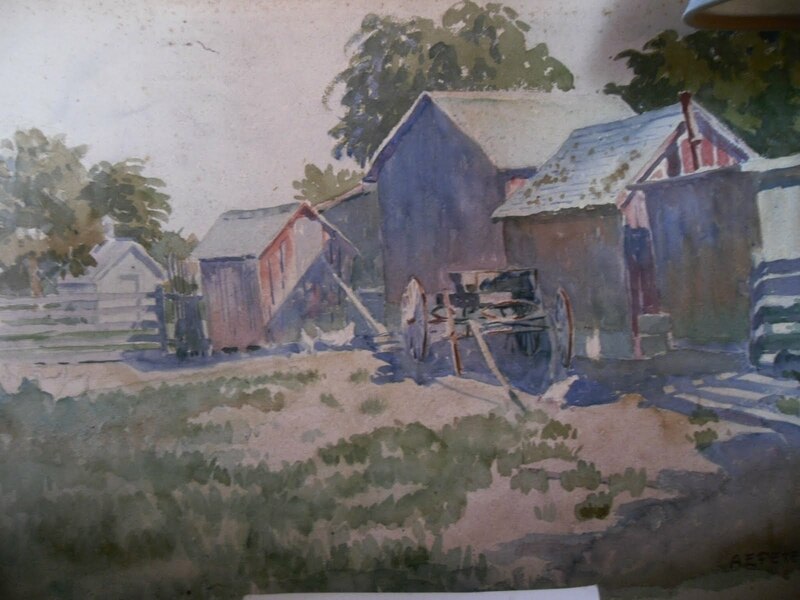 The watercolor is a field painting done by my great uncle who, along with my Mom was probably my most inspirational person to keep me painting. This piece was probably painted in the 40’s – maybe late 30’s. He lived in Chicago and was an artist working the the ad business. He traveled a lot, painting and spent years roaming Europe before WWII painting. Every Christmas, his signature was to paint Christmas cards for the family. I have 7 of them that my mom saved and framed and gave me. The cards are all of somewhere that was meaningful to his family – the front stoop of the house in Chicago, the home he lived in out in northern IL, the street he lived on in Paris, etc. 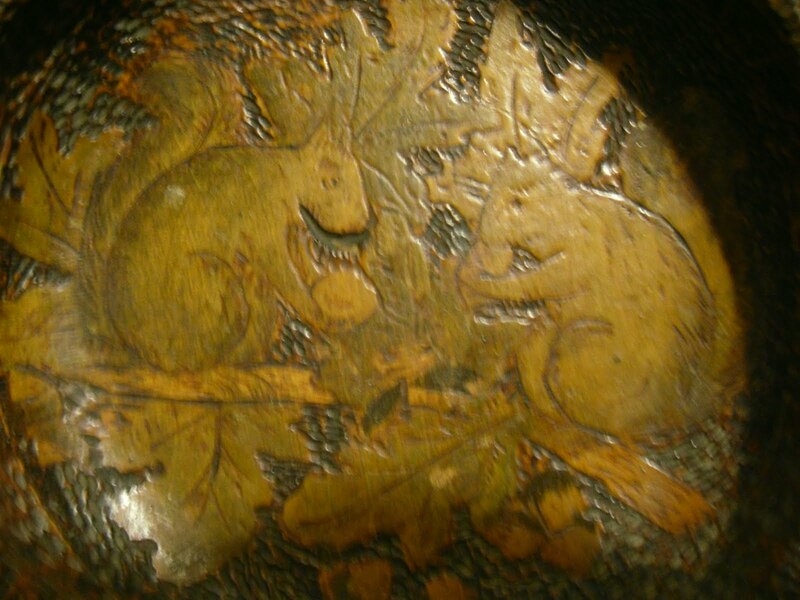 The other image is a wood carving done in a wooden bowl by a young man from Chicago who my Grandmother was a nurse for. My grandmother was a nurse by training and a pioneer. She journeyed to Montana in the teens of the century and homesteaded with her brother and his best friend. She married the friend and after he died untimely, she returned to Chicago with my mom (age 13) in tow and re-upped her necessary continuing education and started nursing again. Private duty nursing was a good paying line of work and she like that. The boy that did the carving was recovering from some malaise and he and my grandmother became friends. Once he recovered he finished the wood carving and gave it to her. Just another couple of interesting art items with a bunch of sentimental value! I did spend 5 days in the Puget Sound doing a variety of art things. The state fair entries were due and this year their focus in the fine art department was Pastels, so I decided to take a piece there for that show. 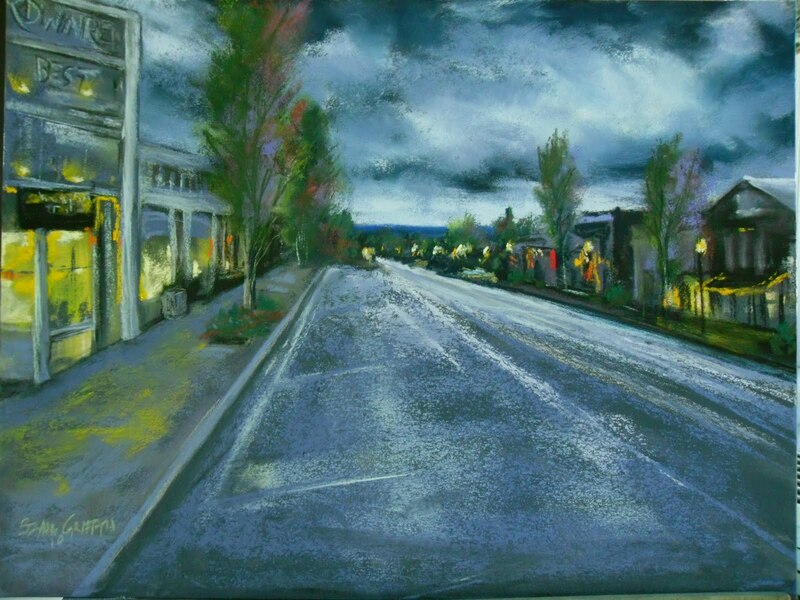 Other duties were meeting with a gallery in Seattle to host our Northwest Pastel Society show in 2011. Kirsten Gallery in the University district. Lovely gallery and look forward to working with them. And then a day with the NPS for a board meeting and general membership meeting. Finally a trip up to Bellingham to retrieve some pieces that had been shown and back to the east side of the state last night. The Puget Sound is beautiful; but I certainly appreciate the less traffic and busy that I live in daily in Walla Walla! So…for now…keep painting…I am going to do that this week!